Chicken Scratch Poultry - Ameraucana "Blue egg layer" Whitmore Farm Line Ameraucana chickens lay the most beautiful blue eggs I have ever seen. We have TRUE Ameraucanas here, NOT a hatchery bird. This is NOT an easter egger, there is a difference! If you order Ameraucanas from a large hatchery or if you are purchasing them from a farm store, you are not getting a true Ameraucana! You are getting a half breed that will not lay a bright blue egg. Ameraucanas have a pea comb and black or slate colored legs and fluffy muffs or beards. Chicks hatch with the cutest fluffy cheeks. These birds do quite well in cold weather and heat tolerant. Our Ameraucnas colors come in blue and black. 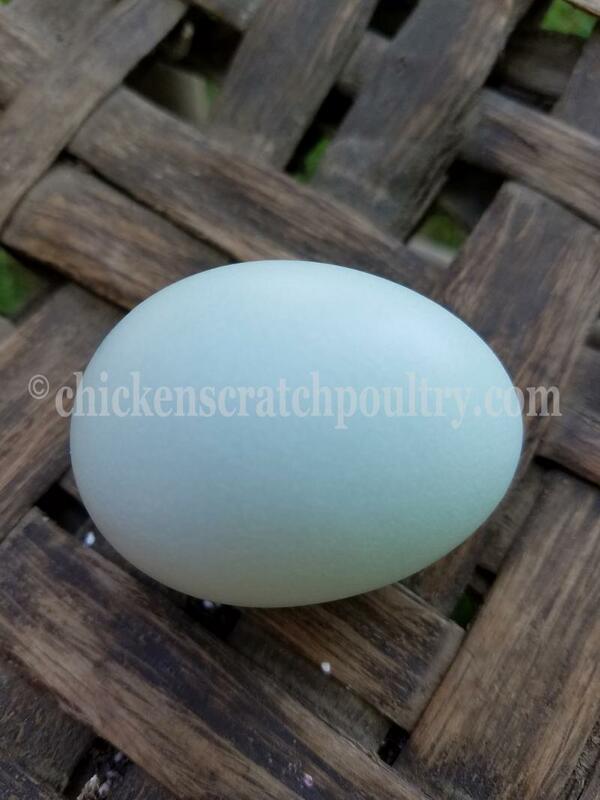 Our Ameraucanas lay an amazing blue egg. You will not find a nicer blue egg anywhere else. 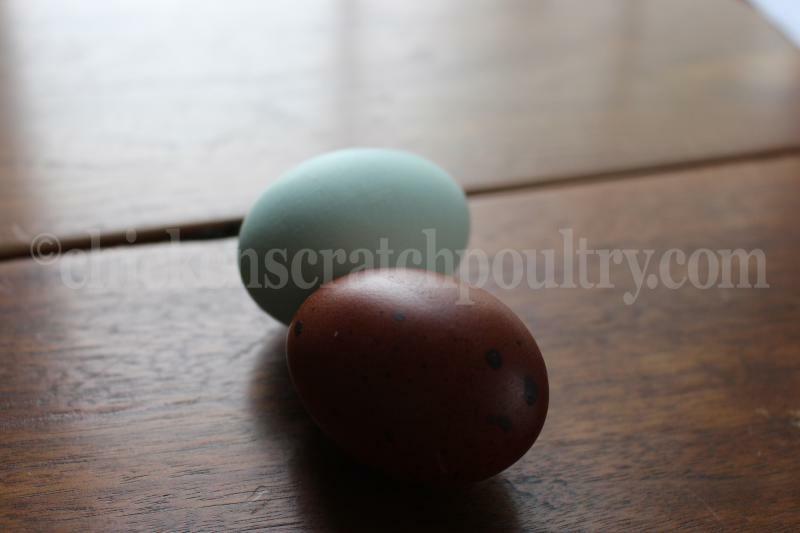 With each breeding year we get better color on our eggs. We've been breeding Amerauanas for over 12 years now and I must say we have the best line right here at Chicken Scratch Poultry! 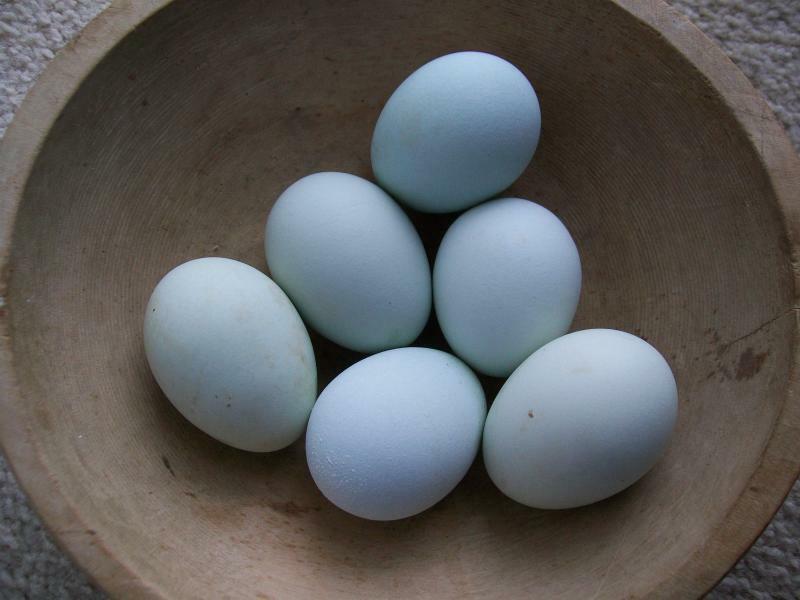 Ameraucana chickens lay the most beautiful blue eggs I have ever seen. We have TRUE Ameraucanas here, NOT a hatchery bird. This is NOT an easter egger, there is a difference! If you order Ameraucanas from a large hatchery or if you are purchasing them from a farm store, you are not getting a true Ameraucana! You are getting a half breed that will not lay a bright blue egg. 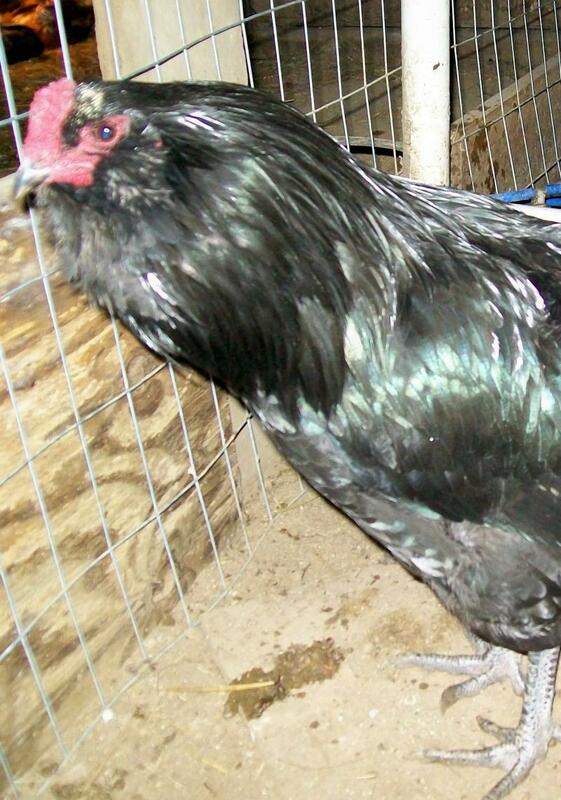 Ameraucanas have a pea comb and black or slate colored legs and fluffy muffs or beards. Chicks hatch with the cutest fluffy cheeks. These birds do quite well in cold weather and heat tolerant. Our Ameraucnas colors come in blue and black. Minimum Order of 16 chicks, you can mix the breeds. All chicks are sold straight run. If you would like fewer than 16 chicks please contact us for information. 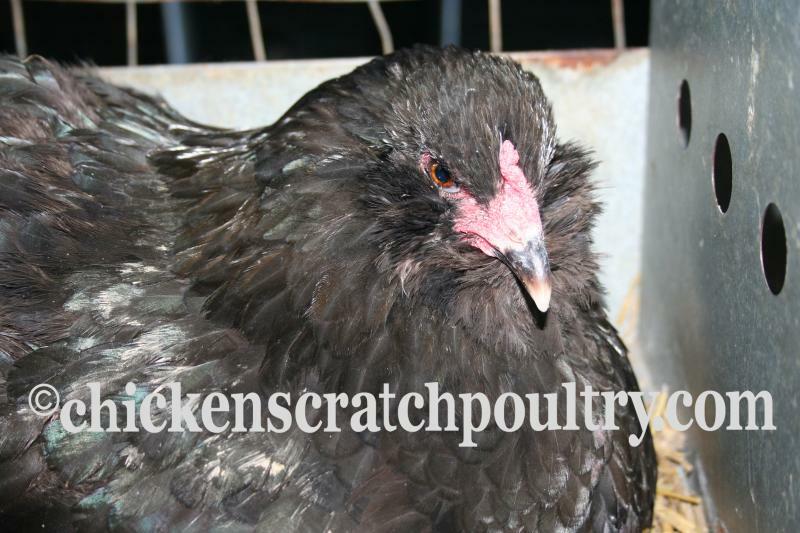 To place a hatching egg or started pullet order go to the "Contact Us" page and leave a message. For more beautiful photos check out the farm photo page or head over to our facebook page.